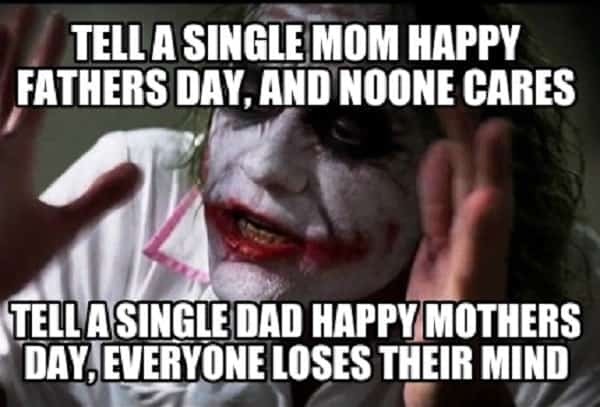 Life as a single mother isn’t easy, which is why we all need a funny single mom meme to brighten up a busy day! From the ones that get us in fits of giggles to others that make us literally roll on the floor laughing, the single mom meme is undoubtedly a winner. We can see the trends over time as well as they’ve become increasingly popular, and we can see why! There are endless everyday challenges of being a mom, from everything being single, an incredible balancing act, to having to run the show effectively on your own. But who needs a man anyway! While single moms may whinge and complain about things (in an often justified way though), at the end of the day they’re strong and determined people who deserve a whole heap of respect. 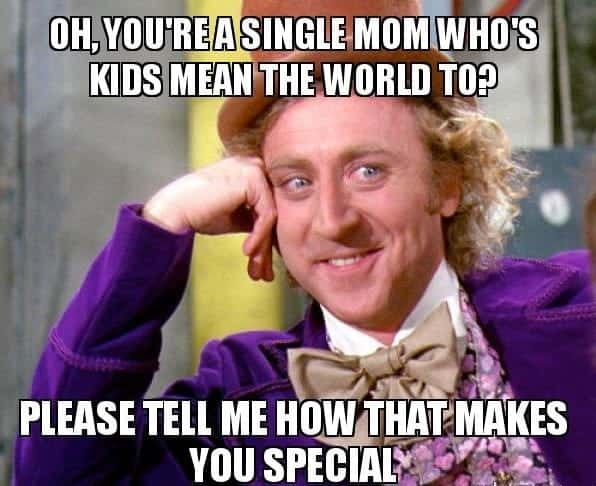 These funny but true memes portray some of the many things that single moms go through, and if you’re a single mom yourself, you’ll likely see lots of relatable content! 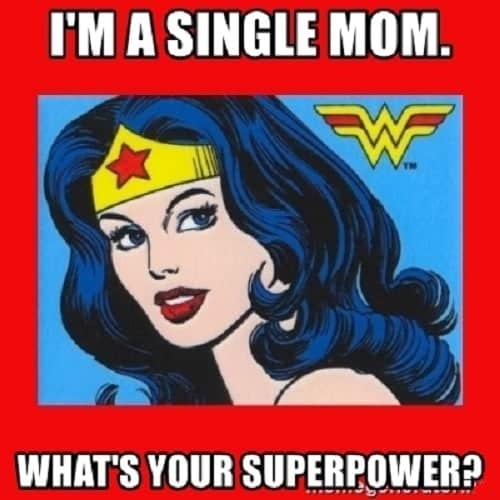 The single mom meme proves that single mothers are pretty much superwomen, juggling kids, work and home life all at once! We’re certainly impressed, and we hope you can see that through the memes listed below as well. Read on and look out for your favorite ones! 1. 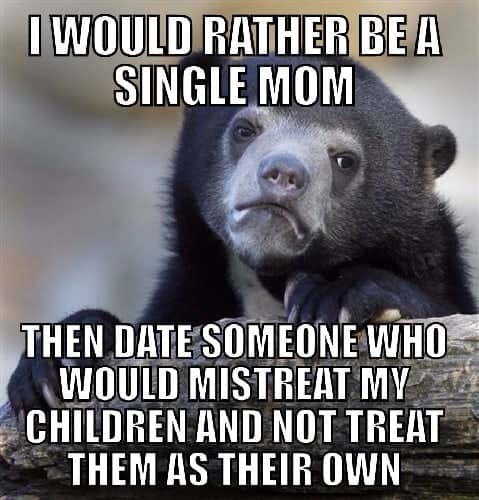 I Would Rather Be A Single Mom Then Date Someone Who Would Mistreat My Children And Not Treat Them As Their Own. 3. 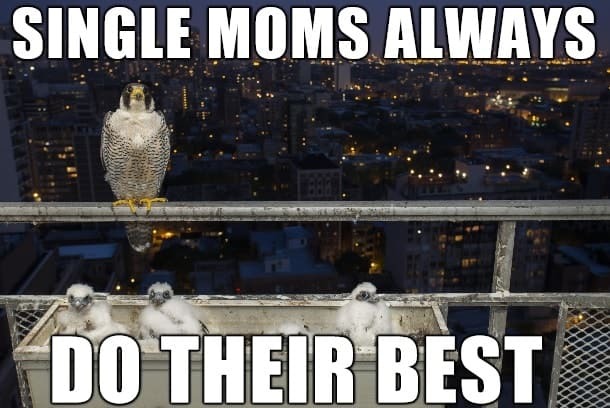 Single Moms Always Do Their Best. 4. 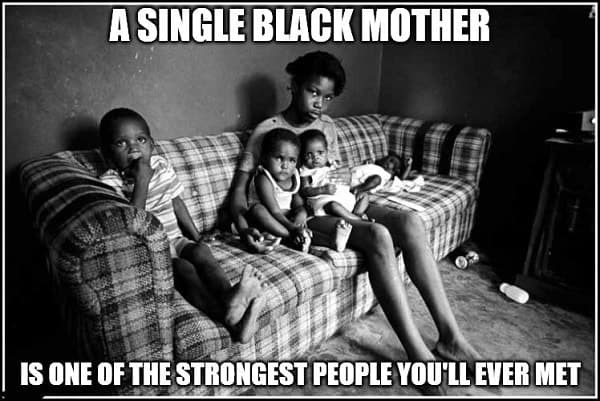 A Single Black Mother Is One of The Strongest People You’ll Ever Met. 5. 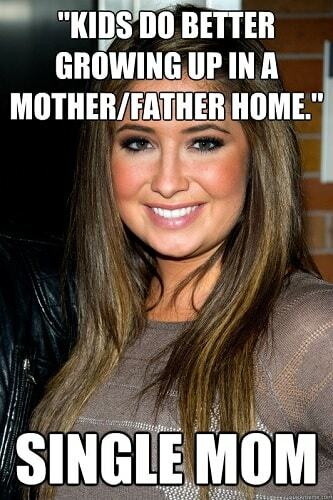 Oh, You’re A Single Mom Who’s Kids Mean The World to? Please Tell Me How That Makes You Special. 6. 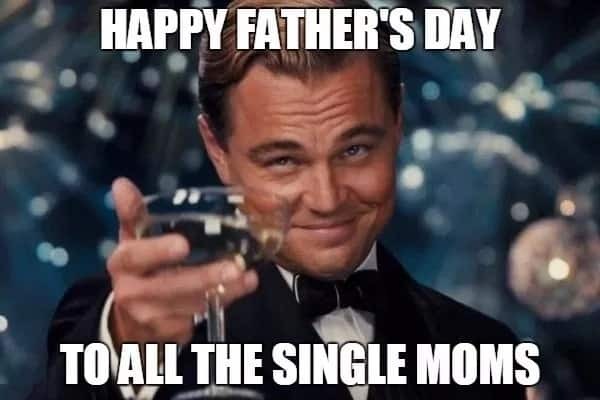 Happy Father’s Day to All The Single Moms. 7. She’s Attracted to The Bad Boys. 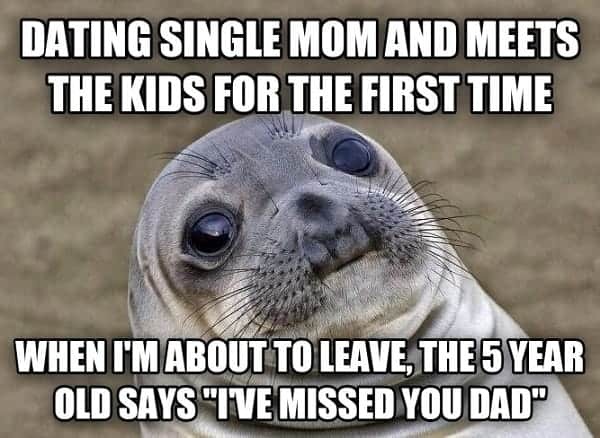 Now She’s A Single Mom. 9. Once You Go Black Ur A Single Mom. 10. Support Single Mothers Because Clearly They Must Be Doing Something Right. 11. Claims She Raised Her 4 Children on Her Own As A Single Mother. 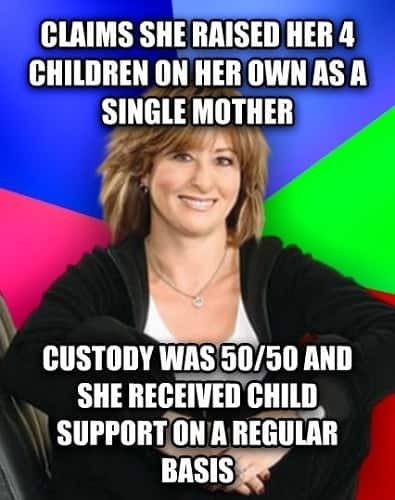 Custody Was 50/50 And She Received Child Support on A Regular Basis. 12. 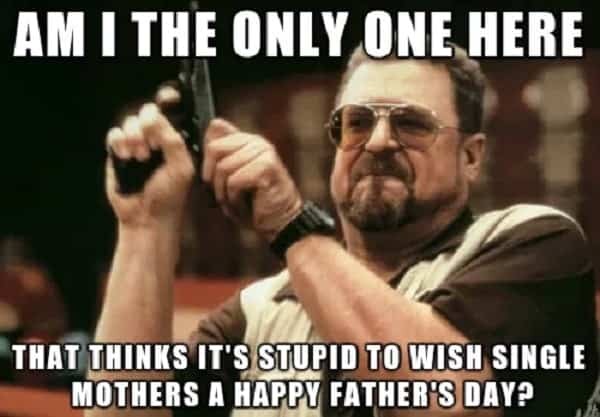 Am I The Only One There That Thinks It’s Stupid to Wish Single Mothers A Happy Father’s Day? 13. Tells 3 Little Girls There Is No Santa. Can’t Afford Christmas Presents, Doesn’t Want Kids to Think They Are Bad Children. 14. 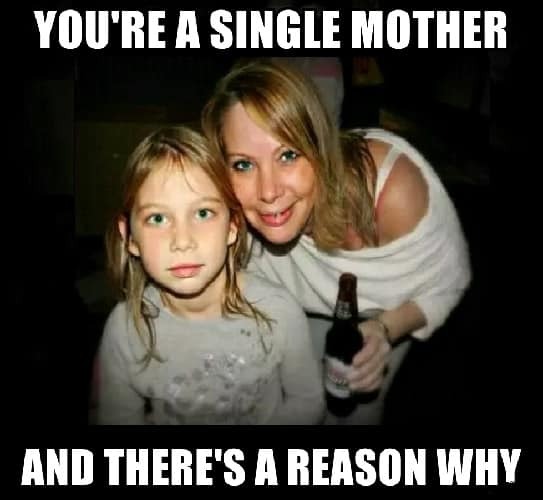 You’re A Single Mother And There’s A Reason Why. 15. Single Mother Raising A Son from Birth. 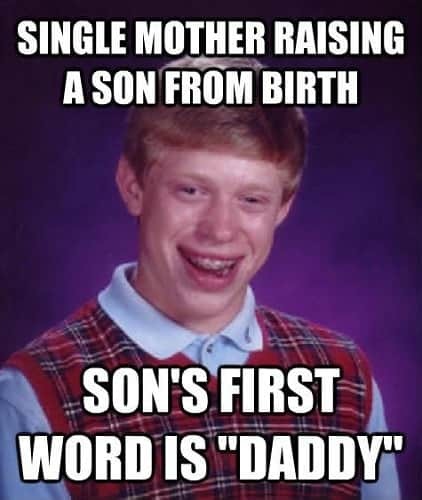 Son’s First Word Is “Daddy”. 16. 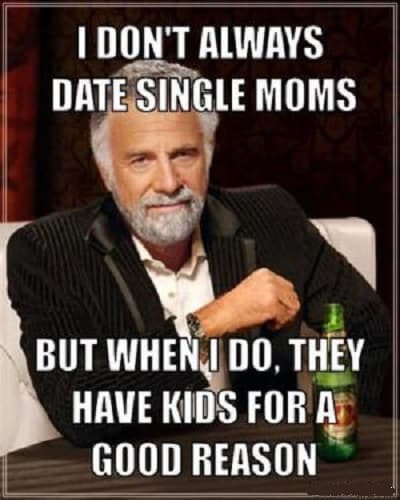 I Don’t Always Date Single Moms. But When I Do, They Have Kids for A Good Reason. 17. Single Mom Fiona Invites You to Her Place to Take Care of Her Son. 18. Do Your Part & Help Support This Single Mom at Amateur Night at Deja Vu. 19. I’m A Single Mom. What’s Your Superpower? 20. 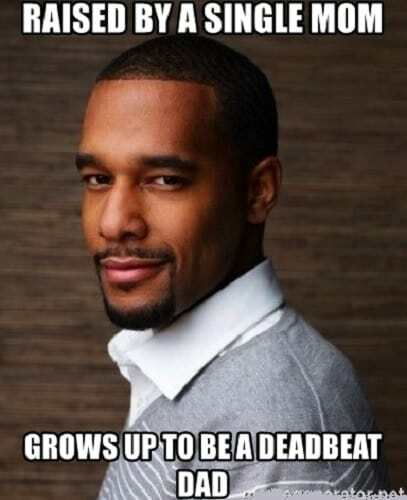 Raised by A Single Mom Grows Up to Be A Deadbeat Dad. 21. 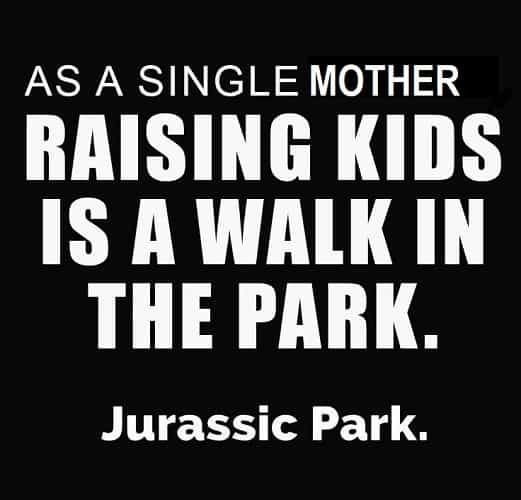 As A Single Mother Raising Kids Is A Walk in The Park. Jurassic Park. 23. One Guy Does My Dishes, Another Does My Nails, Another Buys Mer Lunch, Another Watches My Kids for Me. It’s hard Being Single Mom. 24. 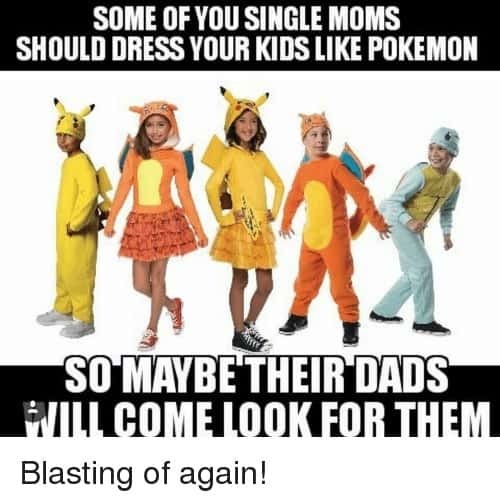 Some of You Single Moms Should Dress Your Kids Like Pokemon. So Maybe Their Dads Will Come Look for Them. 25. 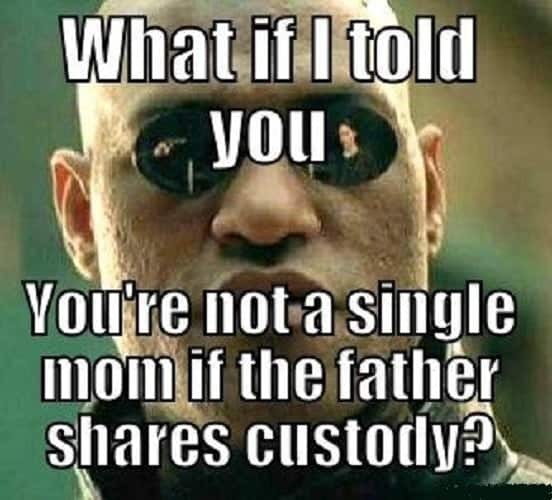 What If I Told You You’re Not The Single Mom If The Father Shares The Custody? 26. 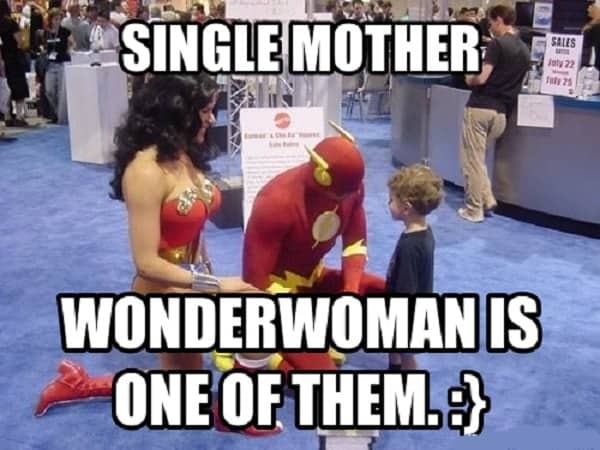 Single Mother. Wonder woman Is One of Them. 27. Guns Don’t Kill People. 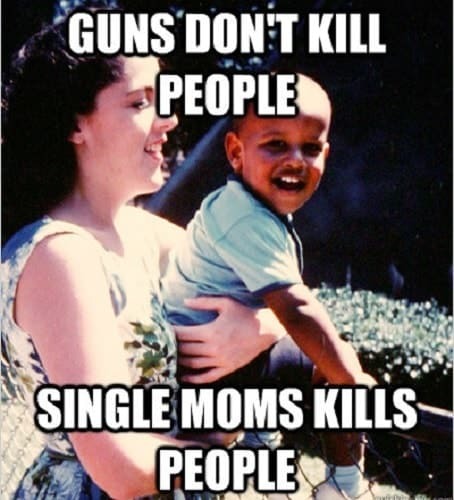 Single Mom Kills. 28. 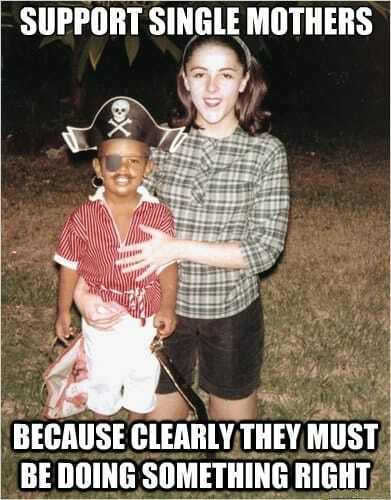 “Kids Do Better Growing Up in A Mother/Father Home.” Single Mom. 29. 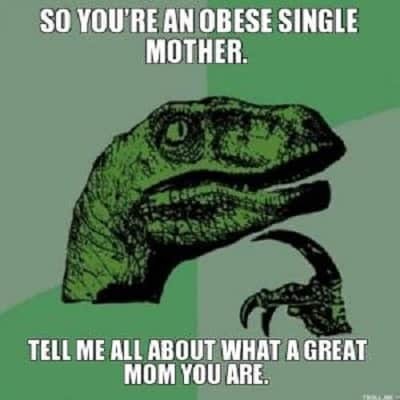 So You’re An Obese Single Mother. Tell me All about What A Great Mom You Are. 30. 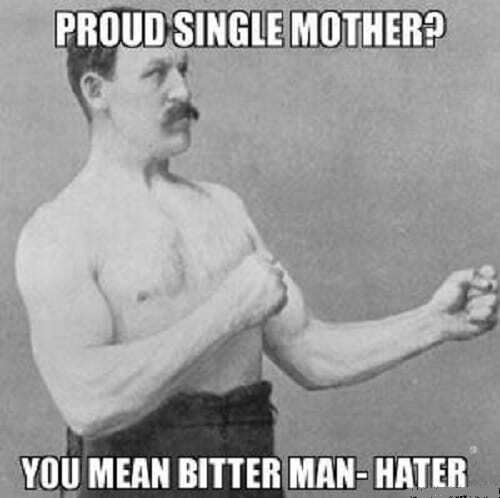 Proud Single Mother? You Mean Bitter Man- Hater. 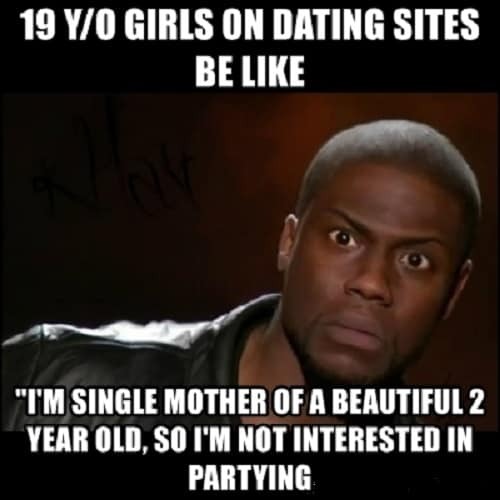 See the funny side of being a single mother with an amusing single mom meme, or two, or ten! Share them on social media and with your network of friends, and have a good ol’ laugh together about the relatability of each one of them.